The growing market for tablets has raised more than one user if, when renewing your laptop, maybe I should not think the ability to jump to the attractive personal display technology. No wonder: the tablets offer a level of portability, ease of use and in many cases, autonomy sometimes are unbeatable for a laptop or netbook. However, it is sometimes difficult to consider what device to choose between the forest of options that are in the market. Let's see what criteria should you follow to select the tablet q ue best suits our needs. So. That size matters. It's not the same drive a seven-inch panel to another it is significantly above the ten-inch, nor inquire contained in a horizontal format to do so in a more aimed at the classic 4:3. Given this, what kind of screen is better? It is difficult to pin down. In fact, impossible. Each user will feel more comfortable with a choice. If we want to enjoy an unprecedented resolution, we can choose the new iPad, which at 9.7 inches distributes a total of 2,048 x 1,536 pixels-the most powerful of the market definition. If, however, we prefer a large area, the 10.1-inch models from Samsung, as the Galaxy or Galaxy Tab 10.1 10.1 Note - be our best option. 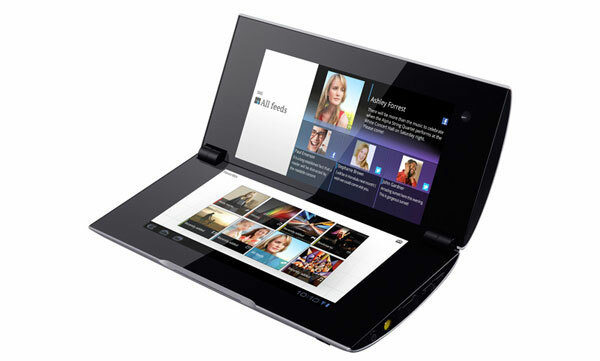 There are other possibilities in this format, betting on widescreen formats, such as Packard Bell Liberty Tab. Another possibility is to go for smaller formats. The seven inches is the star in that direction. 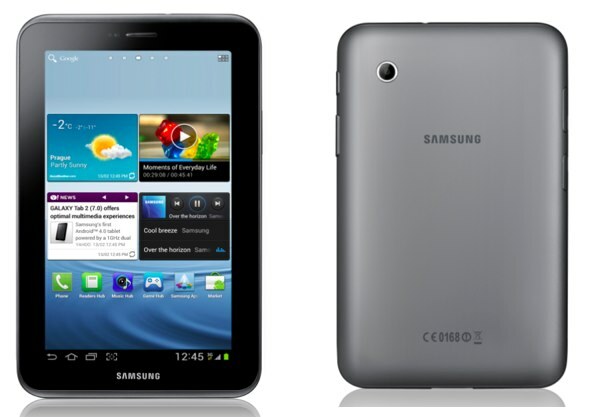 It is a size that was opened by Samsung with its first Galaxy Tab, and today is available in models like the Samsung Galaxy Tab 2. In fact, the South Korean firm is one that has a fork full of proposals in this regard, since it also has in its catalog a model with panel of 7.7 inch and 8.9 inch. Nevertheless, continuing with the proposals in seven inch is coming soon in our country a device manufactured by Taiwan's Asus to Google, the Nexus 7, a terminal, as shown below, presents other arguments that make it very attractive -as the price and the operating system. Fundamental. It is not the same as having a terminal IOS-based Apple platform - Android-foil Google - or Windows-on future versions that Microsoft will showcase commercially from Autumn. Again, it is risky to make judgments about value. What we can do is put data on the table. IOS 5.1-after the summer will iOS 6 - is the system more dedicated applications for the Apple tablet: more than 250,000 programs and games, and more than 650,000 apps in total , contanto with iPhone and iPod Touch, which are interpolated to full screen display. In the case of Android's decision will not only jump on the bandwagon of the green robot. Also, examine the full range touch tablets available-from the most economical, with prices around 100 euros, to the most advanced in excess of 500 euros - which will have different versions of the platform. The outdated versions will have more affordable - Android 2.2 FroYo - while the more advanced editions dedicated to bet for tablets. In this sense, we'll meet again, with the choice between Android 3.0 Honeycomb, Ice Cream Sandwich Android 4.0 and Android 4.1 Jelly Bean. For now, this last option only found in the Nexus 7-and the Motorola Xoom, by upgrading. It is best done with a device with Ice Cream Sandwich: thus we ensure a greater margin of support in the applications that you download and have the option to upgrade to versions that we can come. For many, the design of the tablet will not be a determining factor when deciding on either team. But this is a very interesting section view of the proposals that populate the market. The vast majority of available terminals are practically identical in this sense, beyond the dimensions and proportions in its construction, although some stand devices argue precisely in terms of appearance. There are three terminals in this line, we could bring up. On the one hand, Sony and Sony Tablet Tablet S P.
The first part of a price of 400 euros, and has a back that describes a small wedge that is useful to write about when they lodge in touch screen on a horizontal surface. The second, which is available from 500 euros, is more original. It is a tablet with two parallel screens, the Nintendo DS style, and a clamshell design, so that when closed compact dimensions resembling a small case. 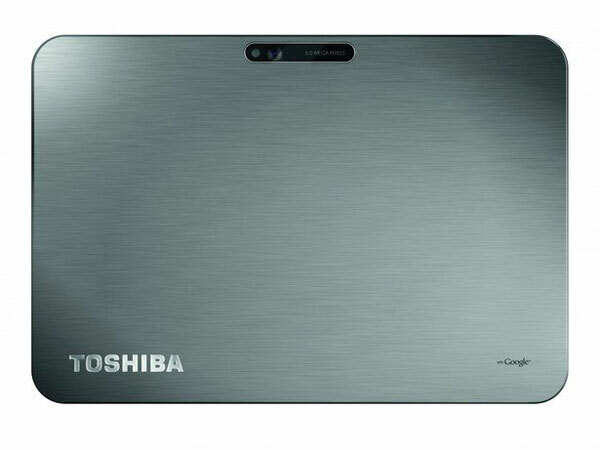 On the other hand, it is interesting to consider the purchase of Toshiba AT200, which advocates a surprising thickness of only 7.7 millimeters, as the main defining value. It also has some interesting features, capable of competing with other Android devices and a very reasonable price of 500 euros. Here the plot thickens. The rule is clear in all makes and models: issues with 3G connectivity, that is, to access high speed mobile data, will require additional expenditure to which only have access to the Internet via Wi-Fi. So you have to consider whether you really worth paying a few hundred dollars more, this is usually the difference between models with and without 3G - in addition to committing to a subscription of data with the carrier of your choice. In this sense, think about where you will use the tablet mostly. If you have most of the time at home or office, is more than possible that the Wi-Fi model of your favorite tablet is more than enough. Remember that many of the smartphones that populate the market Hotspot options available, so you could share the mobile connection in the street to connect via Wi-Fi sensor of the tablet. Otherwise, if you give intensive outside the influence of wireless home networks or professional, would you consider investing more in the 3G version of the terminal of your choice. The debate marked the USB tablet market since its inception. When first introduced the iPhone, back in 2010, critics were primed with the device lacking the standard connector that delights users' computers and laptops. However, is it so important the presence of USB or microUSB jacks? There are terminals, such as models of Samsung, who have also opted for proprietary connections that unless we use adapters, can not be linked with other devices via USB. Since the tablets are designed to find information online, rather than to insert or remove, it makes little sense as a primary value the presence of USB or microUSB. However, it does have its importance. For starters, the USB is, as we say, a standard in many cases provide functions for data traffic, you can synchronize information with a computer, play content from an external computer or a portable modem prick - and recharge your battery. And given his status as standard, we use the same cables with other devices would be worth us to the tablet. Otherwise, it is essential to be done with cables or adapters owners who sell us the manufacturers of tablet. Another issue is the palette that offers more connections than USB and the dock owner. 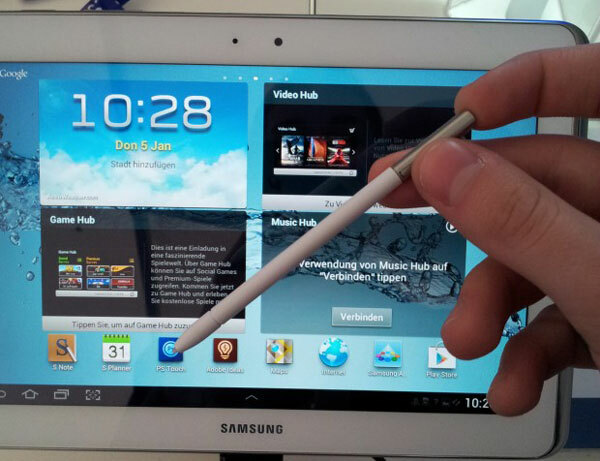 Remember that if you use the tablet as a multimedia platform, connecting to the TV in the living room, for example, to play movies or videos hosted on the Internet - you interested in testing the device has physical options for high-definition output through HDMI or MHL -, or wireless-DLNA, in the case of Android, or Airplay for iPad -. The presence of GPS and Bluetooth will also enrich the experience of using the device. There are two fundamental points when assessing a tablet in media playback criteria: the supported formats and storage media. Regarding the former, Android handsets are richer and complete. The vast majority of market terminals play almost anything you want: from the usual MP4 or WMV to advanced DivX and MKV HD. We talk about video, clear audio issues because we should not worry about anything: we will find virtually no trouble hearing any sound file. Similarly, in the case of Android tablets, many facilities will have to enter in the memory of the device. Attendees may use applications, such as Samsung Kies, if the terminals of the Korean company - or make the computer detect the computer as an external storage unit. There are, however, facilities that we have in IOS. Unless you resort to tricks or breakouts-by Jailbreak - everything we put in the iPad will happen, necessarily, for iTunes. This not only conditions us when to choose and order freely to channel content. In addition, we will determine the supported files. By converters and third party applications not covered could transform files among formats supported in permissible content, which, seen thus, can become a nuisance. Some believe that it makes little sense to put cameras on a tablet. Due to its characteristics, can be quite ridiculous to these devices to take pictures. At least with the main camera. However, positions to concentrate on the computer functions, you better be extra to be missing. Most terminals in category Android bet by a combo dual cameras, where the main sensor would have three to five megapixels, while the secondary unit, located on the front of the tablet-would shift between VGA resolution and quality two-megapixel camera. 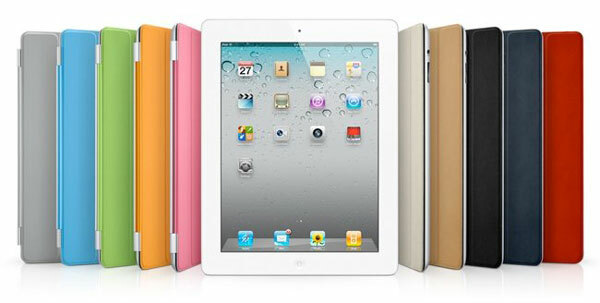 The iPad, in this sense, has a combination of five-megapixel sensor in the main and secondary VGA. However, we could also find devices which dispense with one of the two units, the back, especially. 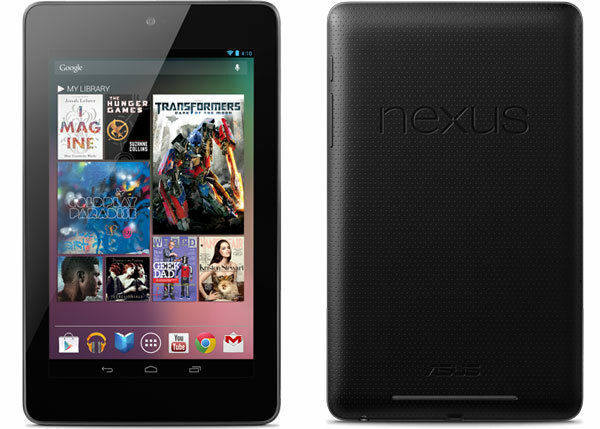 Such is the case, for example, the Nexus 7 from Asus and Google. Is it important to justify the choice of a model that integrates memory? Sometimes yes. However, what can condition the purchase of one or other device sometimes not so much memory to load standard as the possibility of expanding the internal capacity with external drives. The iPhone, for example, will not give us this option. We'll have to settle for options 16, 32 or 64 GB without any choice of having more capacity-beyond the solutions in the cloud, which is available to any other terminal. In the case of few non-Android models this possibility is available to several models. The Acer Iconia, for example, allow us to install microSD cards up to 32 GB extra, the Sony Tablet S also supports memory expansion-indeed, in this case, memory is contingent on the card that you say. Again, the hairpin is opened possibilities. It is likely that most users do not pay attention to this section, although the choice of either model for its price is strongly influenced by the power that develops on account of your processor. In this regard, in the vast majority of cases we will find units of one or two cores, and at least four cores. To sample the new iPhone, introduced in 2012, carries a dual-core unit, significantly faster than the iPad 2. But there are many models of Android group that have been decided by the four cores. In short, we will see in stores 10.1 Note the Galaxy, one of the banners of the Korean company in this group. China's Huawei will also climb on the bandwagon of quad-core, and even Asus has in mind a model of your Transformer of this family. The netbook is afraid of the tablet. Even some laptops are thrown to tremble at the personal screens. It is not by power but by autonomy. If we think of the tablets as digital entertainment platforms and windows to query data on the network, which provides the versatility of these terminals blush comes to laptops. And of course, autonomy does not help them raise their heads on the tablets. In some cases, and measuring very specific conditions of use and use-only web browsing over Wi-Fi - could withstand a constant duration of up to ten hours as official rates. Such is the case of IPAD. 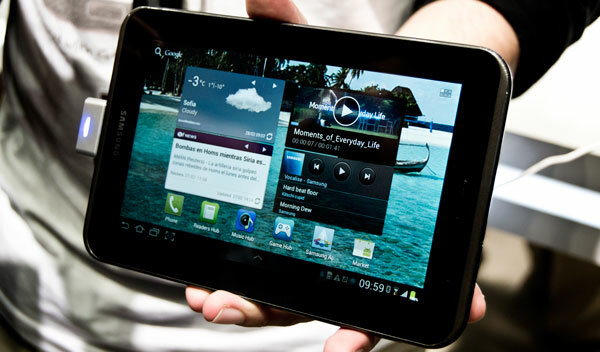 The Galaxy Tab 10.1 claims to support nine to 72 hours, depending on if we play the music or video continuously, respectively. 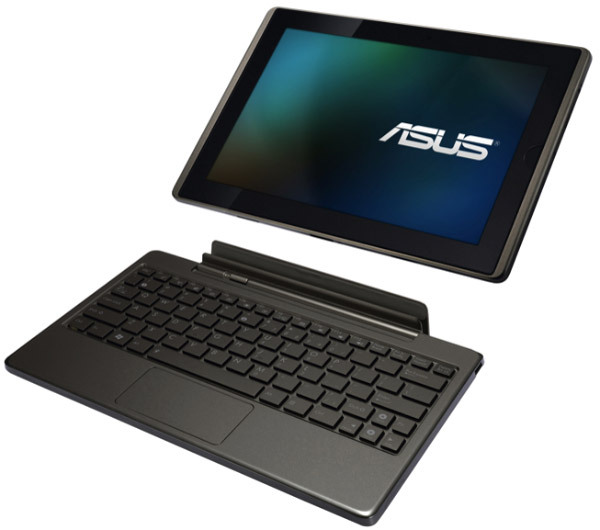 The powerful Asus Eee Pad Transformer, meanwhile, we can hold between 9.5 and fourteen hours, depending on its use or not to dock ANADER a physical keyboard at all. So, how much notice is capable of supporting the autonomy of the devices you have in mind among the possible choices to make with a tablet, and that ultimately can make a big difference depending on the model you finally select.